I didn't get room booked by Booking.com because all hostel rooms were occupied. However staff prepared for us hotel rooms for the same price. Great breakfast, room clean and well comfortable. 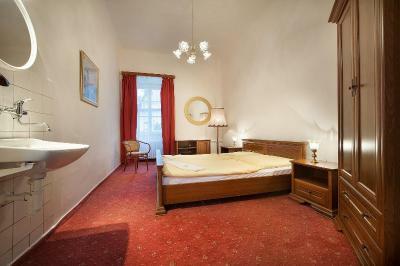 Parking is available in front of building but it's additionally paid - 80 CZK per day. The surroundings of this place is out of this world, I went there twice just to for the bohemian paradise forest. Super Frühstück, märchenhaftes Ambiente, tolle Aussicht auf die Felsen, sehr nettes Personal. Zimmer einfach, aber mit allem was man braucht! Herrlich ruhige Lage, perfekter Ausgangspunkt für Wanderungen! Wir kommen wieder! Místo Hrubá Skála má své kouzlo. Děkuji personálu za velmi příjemný pobyt. Pravidelně se sem vracíme a budeme. Wyjątkowo piękne otoczenie, magiczna atmosfera zamku. Po raz pierwszy nocowałam w takim miejscu i bardzo mi się podobało. Moim zdaniem pokoje w hostelu miały standard spokojnie 3-gwiazdkowego hotelu. Wielki plus za pyszne śniadanie w formie szwedzkiego stołu w cudownej restauracji hotelowej na terenie zamku. Prachtig kasteel, mooi gelegen middenin de natuur. Jídlo bylo vynikající, komunikace s personálem příjemná. Prostředí restaurace a hradu je romantické. Surrounded by woods, a 10-minute drive from Turnov, Hostel Hrubá Skála is set in a castle from the 14th century and offers a restaurant on site. Free WiFi is available in public areas. All rooms at Hostel Hrubá Skála feature a seating area. 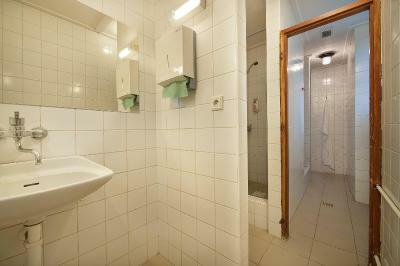 A shared bathroom is available on each floor. Parking is possible on site for a surcharge. Trosky Castle is 5 mi away, Jičín is reachable within a 20-minute drive. Prachovské Skály is 6.8 mi from the property. When would you like to stay at EA Hostel Hrubá Skála? 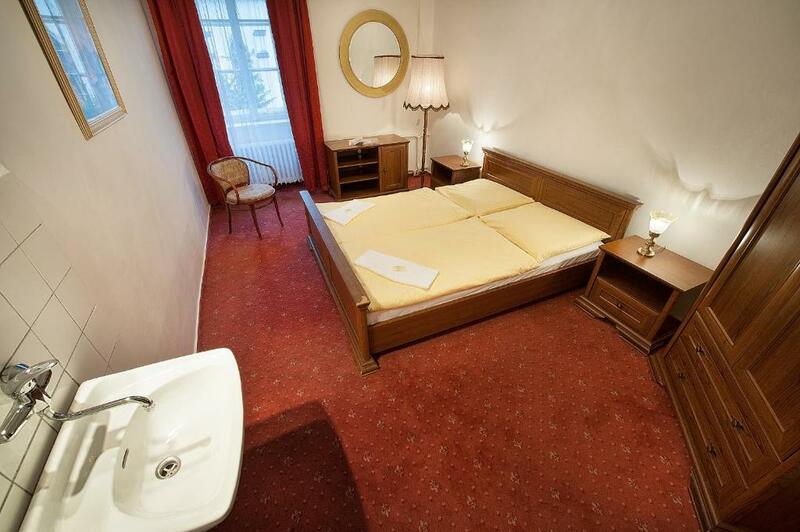 This room features a seating area and comes with a shared bathroom. House Rules EA Hostel Hrubá Skála takes special requests – add in the next step! EA Hostel Hrubá Skála accepts these cards and reserves the right to temporarily hold an amount prior to arrival. Guests are required to show the credit card used during the booking process upon check-in. If you are not the holder of the credit card or you cannot present the card upon check-in, please contact the hotel in advance. Guests will receive a link to a secure payment gateway, where they can pay accommodations by credit card online. Beds are terrible! I ha to sleep on the floor because the mattress was so bad! The room wasn’t so clean, and of very poor taste. It is a hostel so if you have a bad luck, you can have very noisy neighbours.